The cottage apartment spans the entire 2nd level with large windows all around for circulation of fabulous sea breezes. A Laundry room with washer/dryer and storage areas are on the 1st level (ground floor). In the Northeast Caribbean on the beautiful island of Anguilla, the cottage apartment is northeast of the Valley in the Shoal Bay East countryside on Welches Hill, less than a quarter mile from the main road, and close to Island Harbour fishing village and dock, a French bakery, restaurants, beach bars, and several undeveloped beaches. Located in the neighborhood of Shoal Bay East Beach and the inland native woodlands, the cottage apartment is self-sufficient and perfect for privacy (no other apartments or residents) and doing your own thing. 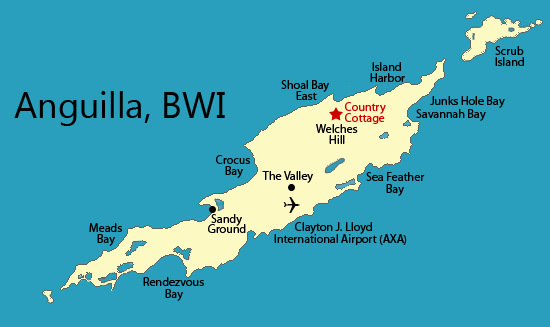 Enjoy panoramic views of the undeveloped countryside of Anguilla. Residents have a private driveway & gated parking. Large windows throughout the cottage open to panoramic treetop views, sunsets, and incredible sea breezes. There’s a sea view of Scrub Island from the bedroom balcony and country roads for walking/running. 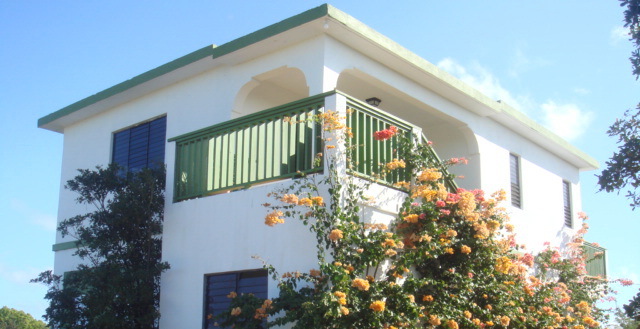 The owner is native Anguillian w/ main house on property and can provide tourist information. The apartment cottage provides extensive amenities, much more than you would expect. Accommodates 1- 2 residents: one large bedroom with king-sized bed, and two daybeds in the living room for the overnight guests of the residents. Living room opens to dining area and fully-equipped kitchen. Residents are responsible for buying all their own supplies.